Aloha! My name is Anthony and I am an Oahu elopement photographer. 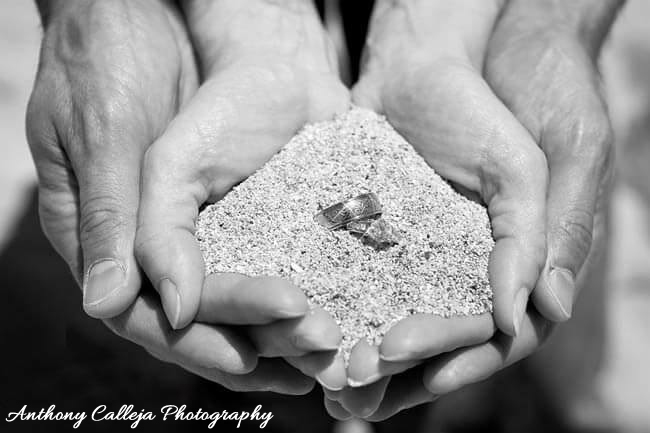 I offer affordable Oahu beach elopement wedding photography services. I am based in Honolulu and service the island of Oahu, Hawaii. If you are thinking of Eloping on Oahu, Hawaii and need assistance in planning your wedding, I can assist you with recommendations for Beach Locations and referrals for an Officiants or Makeup Artist. Do you have a location preference? The island of Oahu offers some of the most beautiful Seascapes and landscapes for a backdrop. How to Plan an Elopement! Eloping comes with its own set of planning and etiquette questions — and we’ve got answers. Whether you’re overwhelmed by the thought of a large-scale wedding, short on time and budget, or dealing with complicated family dynamics, an elopement might be exactly the kind of wedding you’re looking for. Here’s how to plan an elopement that’s just right for you — without feeling guilty or hurting loved ones’ feelings. Only you two know how much you have to spend on your day, so let your budget be your guide. If you’re working with a smaller amount, your local courthouse is probably the most cost-efficient way to make things official (and it’s way more romantic than you think). A weekend getaway to a resort, lively city or cozy, small-town hotel is another perfect option — and a great way to sneak in a mini-moon or honeymoon to boot (if you don’t already have someone in mind, you can often find a local officiant who will marry you). This usually costs about 10 percent of what the average wedding costs. Want to go all out? Wrap a destination elopement and honeymoon into one multi-week trip you’ll never forget. You’re going to love this answer: anywhere! That’s the beauty of it. If the two of you love to party, head to Oahu, Hawaii. Your elopement dress code is completely up to you. If spending thousands of dollars on wedding attire isn’t your thing, you’re in good company here. For a ceremony so small and private, couples who elope often choose to wear something decidedly more casual and effortless. City hall elopements especially tend to be flexible. Want a wedding look you’ll wear again (and again)? Ladies, go with a simple cocktail dress, airy maxi dress, chic pantsuit or anything with a splash of color. Grooms, go as lax as khakis and a button-down or get dressed up in your favorite suit. Just keep the climate and formality (if applicable) of your destination in mind. You Can Have a Reception Too? The best elopement idea? Marry quietly, then party your hearts out later. That’s right, you’re allowed to have a big reception when you get home, which gives you the best of both worlds. Wear your elopement outfit again, cut a gorgeous wedding cake and make a registry. Not stressing over the reception might be the reason you’re saying “I do” just the two of you — so this might not be for you. But know it’s an option to say the secluded vows you want and can afford, then host (or let a loved one host) a more laid-back party for you newlyweds. The thought of running off and getting married spontaneously may be romantic, but it can’t happen if you don’t do the necessary prep work. You’ll need a marriage license, and requirements vary depending on the city, state, and country. Call ahead to inquire about any special paperwork or if you need to have physical tests done, like blood work. Confirm the office hours and know whether or not you need an appointment — you wouldn’t want to show up at the county clerk’s office, all psyched to get married, and get turned away! Have all of your documentation on hand too: photo ID, certified birth certificate and proof of divorce or death if either of you has been married before. Some places may require a waiting period between acquiring your license and getting married, so always check first. For a wedding abroad, contact the country’s embassy to determine what’s needed for nonresidents to be married there. You’ll likely need all the same paperwork as above, and also a witness. Celebrating a romantic and intimate wedding marriage elopement on the Island of Oahu! Starting with a nice and scenic photo walk around Waikiki Beach. Shooting a romantic scene on the beach. Stopping by traditional restaurants to snap some cool couple pictures. Including scooters as props as well as vintage cars parked along side the road. Slowly making our way to Taking some nice portraits overlooking Diamondhead. Continuing our couple photo session in Chinatown. Shooting in the scenic Foster gardens in Honolulu. Which contain a beautiful flowers and trees. Venturing on a beautiful walk across the park while taking some nice strolling pictures in the greenery. Taking a drive to Makapuu Lookout with some extraordinary views. Engagement Photography session and Wedding Proposal at the Secret Beach at the Ko’Olina Resort. Beautiful and Romantic Surprise Proposal photographed on the beach side before the Sunset.